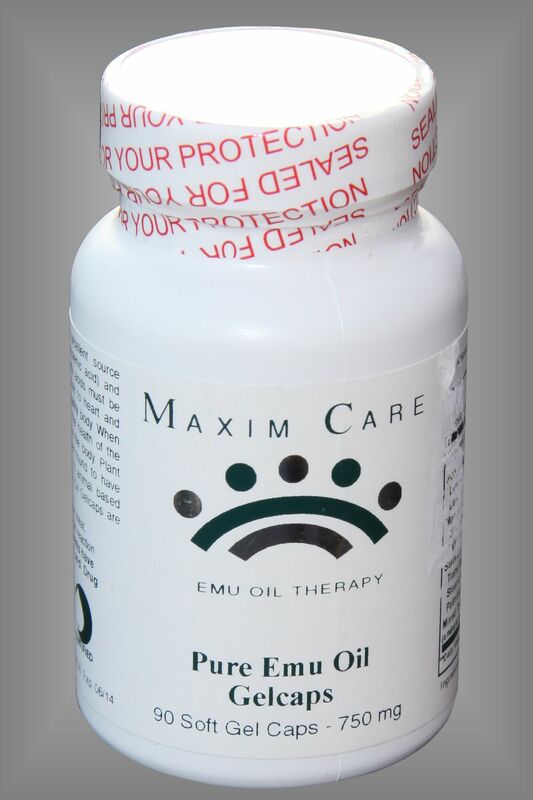 Maxim Care Pure Emu Oil Gel Caps provide a unique Essential Fatty Acid profile that is nearly identical to that of the human body. This highly assimilated mixture of Omega-3, Omega-6, and Omega-9 are readily available to support your bodies need in ONE NATURAL SOURCE ~ EMU OIL. Most of our diets are chronically low in essential fatty acids which can lead to a host of degenerative diseases. Try our Maxim Care Pure Emu Oil Gel Caps and discover that a healthier, pain free life could be waiting for you. 60 Soft Gel Caps 1000 mg.